Little One’s Like Me (LOLM) Children’s Salon, Spa and Party Center opened its doors in Downtown East Point in 2015. 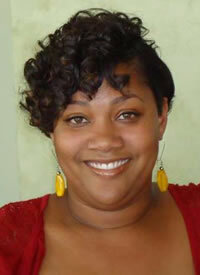 The owner, Heather Norwood, chose East Point because she has strong ties to the community. She is a resident, along with her mother, grandmother and several friends. She wanted to provide quality services that people have access to in other areas of Metro Atlanta right here in East Point. 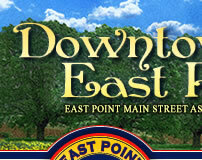 Owner, Heather Norwood, chose East Point because she has strong ties to the community. She is a resident, along with her mother, grandmother and several friends. At LOLM, children area allowed to be children! They can draw on the chalkboards, listen to tween friendly music, and have conversations with other children their age in a fun, vibrant environment. They service children from 2 yrs. old to 15 yrs.old-ish. They also have a book exchange program– bring a book, take a book. They also keep extra school supplies on hand for children to access supplies they may need — no purchase necessary. In March they will be offering a monthly family Zumba Glow Party!